BREAKTHROUGH! A light-bulb has just gone off! Am I being medicated for “hypothyroidism” when I may only have an iodine deficiency? How do you differentiate/rule out the two? ie, iodine deficiency versus hypothyroidism? I do know that my thyroid results came back hypothyroid, however, I came back NEGATIVE for Hashimoto’s antibodies, which is the primary CAUSE of hypothyroidism. 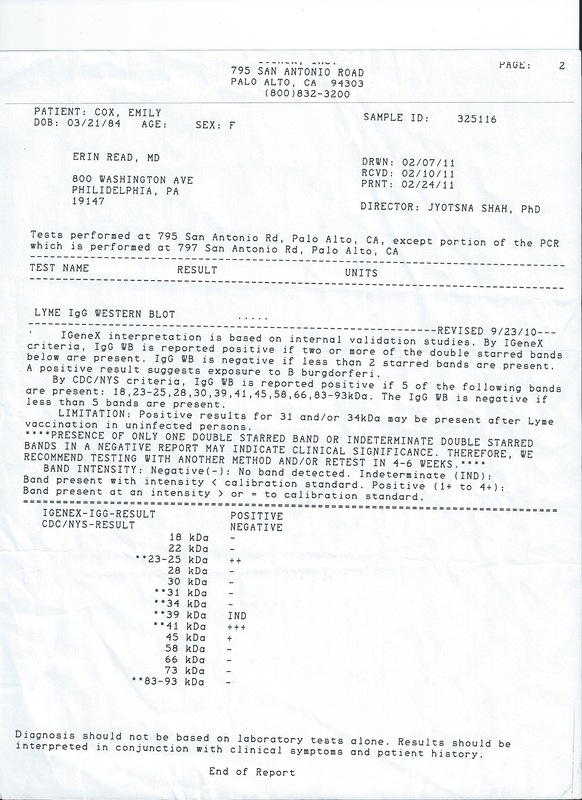 Typically hypothyroidism is GENETIC, and nobody in my family to my knowledge has it, so how do I and the doctors know I don’t just have an Iodine deficiency? Why didn’t they test me for an iodine deficiency before putting me on medication? Now I am on medication and don’t know if I actually have an iodine deficiency! I might have an Iodine-deficiency versus classic hypothyroidism! Plan: Reduce my Synthyroid slowly and see if my thyroid levels are perfect the lower I go. Note: I was eating so much broccoli before that it was blocking absorption of my medication and iodine. **If you are not familiar with “goitrogens,” please EDUCATE yourselves on them immediately! ***IF you have a “thyroid” disorder you MUST avoid goitrogens because they will suppress the function of the thyroid gland by interfering with iodione uptake. Now that I have stopped ALL goitrogens my iodine levels are improving. I have read multiple sites where people want to see “proof” that MMS is actually working to fight viral and bacterial infections. 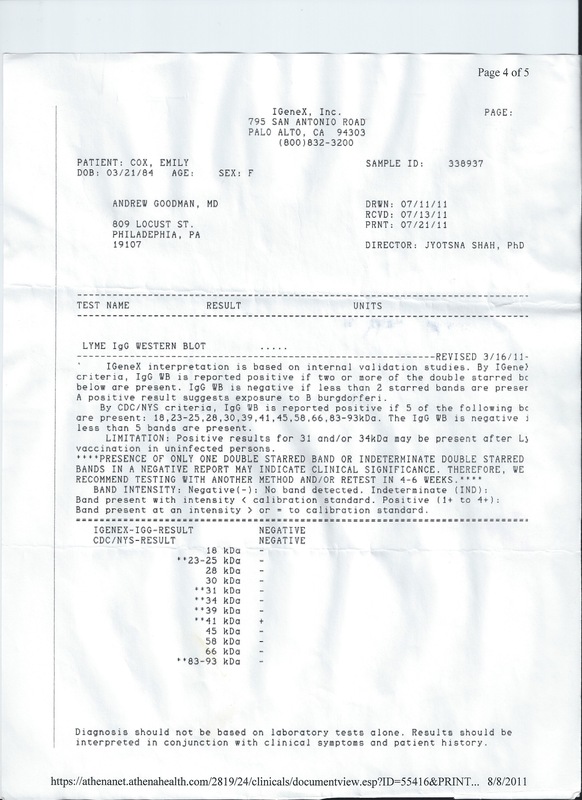 The first result was 1 month before I started taking MMS on 02/07/2011 – lyme disease diagnosis “POSITIVE;” the 2nd result A.K.A. the “follow-up,” 3 months after taking MMS DILIGENTLY, 8 hours per day every single day) on 07/11/2011. EVERY SINGLE BAN BUT 1 IS COMPLETELY GONE. NOT ONLY HAVE THE “STRENGTHS” (INDICATED BY THE AMOUNT OF “+” MARKS ELIMINATED, BUT GONE ENTIRELY). Current- It has been almost a year since my last test, and I need to get a follow up. The last time I took MMS was in January of this year. I haven’t taken it for the past 6 months, and I just started it up on June 14th of this year. I will be taking it again to be sure everything isdefinitely gone. June 19th, 2011. MMS Update – 90 days. Over all, seems to be working!